Interested in having Jeanette Stewart come and present My Roommates are a Bunch of Worms? Please contact Sue Cournoyer for information and booking. 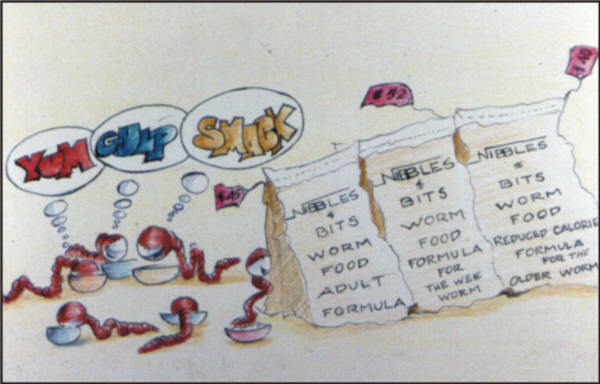 This page gives an overview of the educational story, My Roommates are a Bunch of Worms, with examples of the illustrations. This overview shows a small selection from the illustrations and explains some but not all of the points covered in the story. They also give a glimpse of the discussions that arise as the story is being presented. There is lots of room for interaction but the storyteller has an agenda and will direct the discussion to make certain important topics are covered. As with all stories, the storyteller adjusts the amount of information presented to fit the age of the audience. My Roommates Are a Bunch of Worms has been presented successfully to students from K to 6th grades. 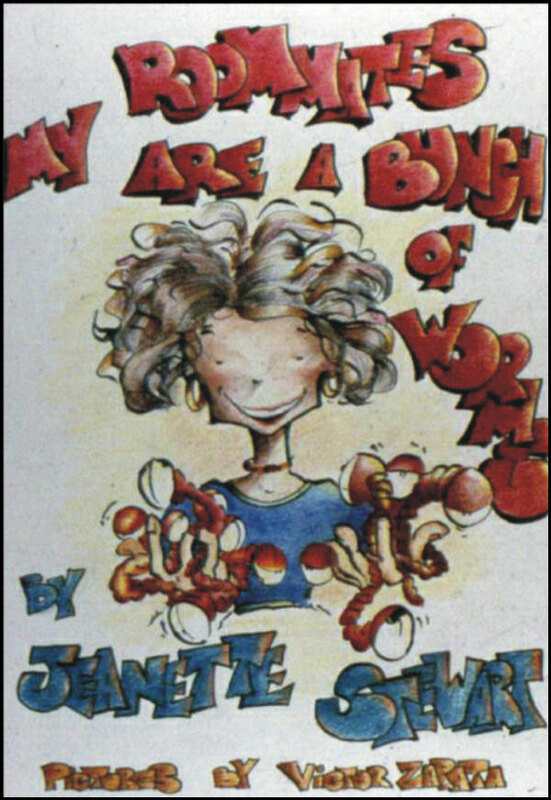 Join the educational team in the telling of this entertaining story about the decomposing world. 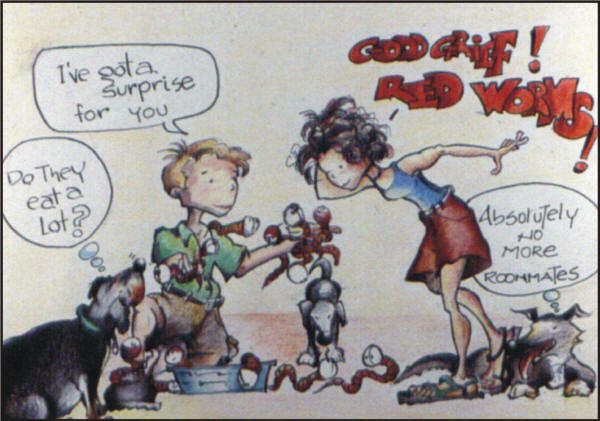 The story begins when Jeanette's friend Peter brings her a present of 1,000 red wiggler worms. 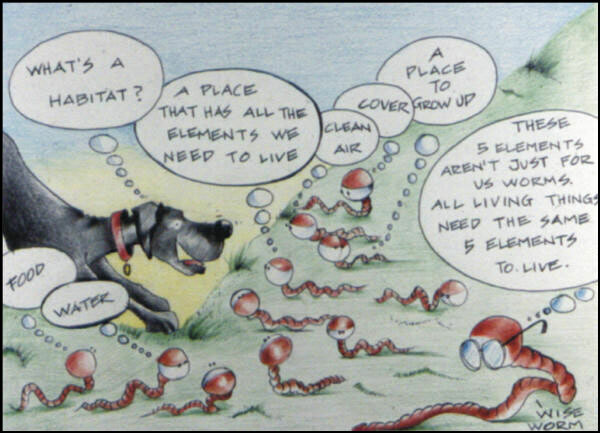 As Jeanette tries to convince her old dog Rosie that having 1,000 worms in the house is a good idea, students begin learning about habitat. Rosie persists with her negative attitude, bringing up such problems as the cost of worm food and the thousands of tiny bowls required to serve them. For every objection, Jeanette shows the positive side. 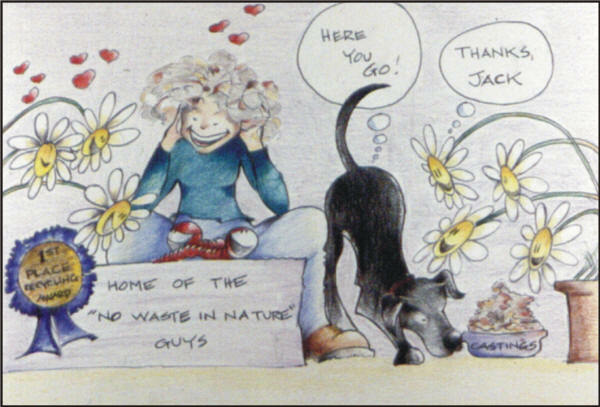 Even the fact that worms will eat some of Jeanette's garbage does not persuade Rosie. This section presents an opportunity to discuss problems associated with waste management, resources, and the 3Rs of recycling, reusing, and reducing. Forever gloomy, Rosie assures Jeanette that the amount of waste the worms will produce will be just as big a problem as the trash. "Not so!" responds Jeanette. Here students learn about worm waste (castings) and its value as plant food. Discussion follows on the many important roles worms and other decomposers play in the world outside the indoor composting bin. 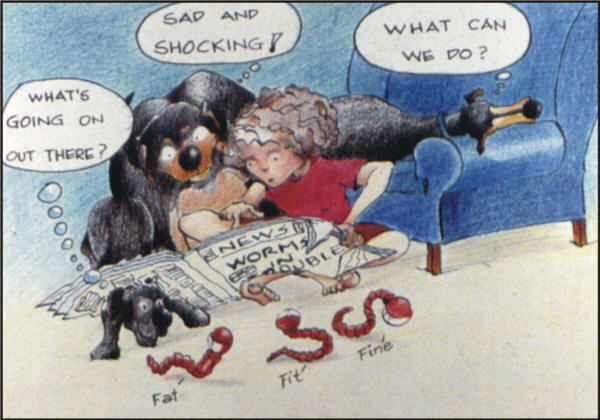 Rosie may not appreciate them but really there are lots of reasons to love worms. 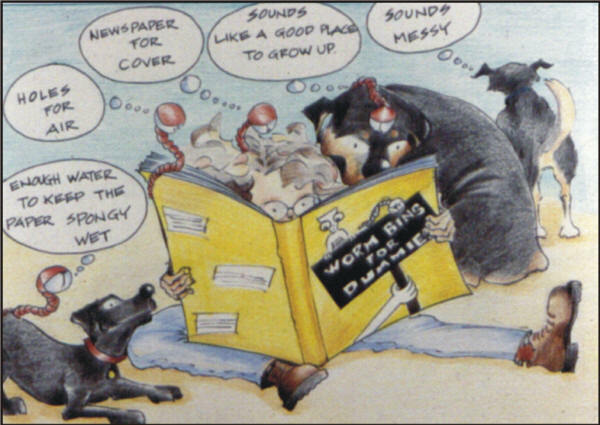 The story gets more serious when Jeanette reads an article in the newspaper about worm populations dropping from loss or degradation of habitat. Loss and degradation of habitat are usually a consequence of human activity. If we create a problem, then we need to find a way to help solve the problem. 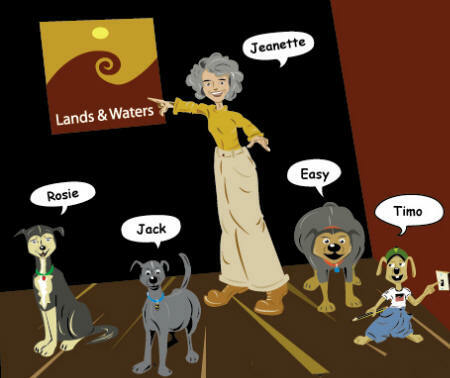 But what can Jeanette and her pets do? 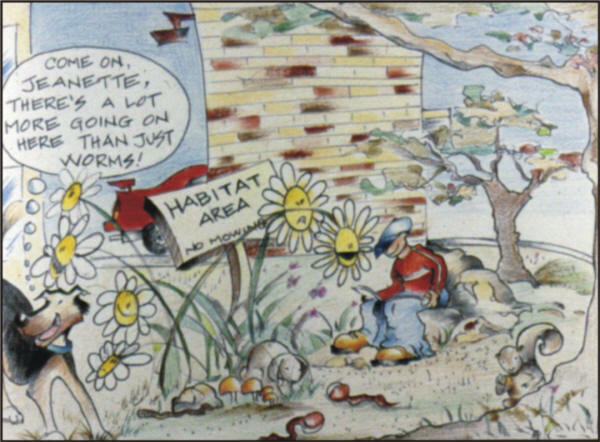 If we can build a habitat for worms inside (as Jeanette just did in the story), then why can't Jeanette build a habitat for the worms outside? That's just what our team of educators does. 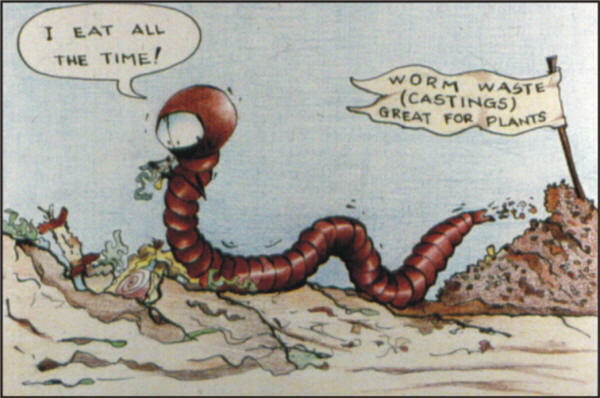 As you can see, the worm habitat attracts more than worms. Students learn a valuable conservation lesson about the importance of habitat and the need to protect existing and create additional wildlife habitat. They learn the basic principles of developing a wildlife habitat. My Roommates are a Bunch of Worms is usually the first of our units to be presented in schools and to other interested groups. The creation of worm bins is LANDS and WATERS' introduction into the world of conservation projects. The second unit, Happenings in Our Habitats, usually follows. Watersheds and human development are the subjects of this story. Happenings in our Habitats brings habitat development out onto school grounds and challenges students to take a more sophisticated look at the world right outside their school. The third story, Wetlands, as well as the other two stories, can be presented as a series or as a stand alone presentation.. Wetlands centers around wetlands but in doing so cover a wide range of topics and concepts.